These are probably the easiest bets to understand, and with it, comes various levels of risk for the bettor. *Mores pools will be added if needed. Squares will be assigned randomly, prizes are paid in free play. PRIZES will be added to your account within 24 hours after the official result of the game. Football squares is a type of football pool that gives all participants a chance to win. It is based solely on luck and there is no skill in determining which team has the better players and which team is likely to cover the spread. Participants pick one of 100 squares. Each square represents a spot on a 10-by-10 grid and it corresponds to the last digit of each team’s scoring total. A winner is determined at the end of each quarter. The 1st quarter, 2nd quarter, 3rd quarter, and Final Game score. The winner is determined by looking at the last number in each of the teams’ score, and then matching those numbers on the grid and seeing which square intersects those two numbers. An example would be if the Miami Dolphins were playing the New York Giants in the Super Bowl, and the score at halftime was Miami Dolphins 33, and NY Giants 24. The last number for the Dolphins is 3, and the last number for the Giants is 4. The square on the grid that has the Dolphins with a number of 3, and Giants score of 4, would be the winner. What if the game goes into overtime? If the game goes into overtime, you would NOT have a winner for the 4th quarter. Instead, the FINAL score will be the last winner of the pool. We reward you for funding your account and wagering on your favorite team. Rooting for your team now has some extra advantages. When you fund your account we will automatically assign a square to it. This will happen only after the pools are officially open and there will be several prizes at stake. Watching and betting on the AFC championship just got even better! 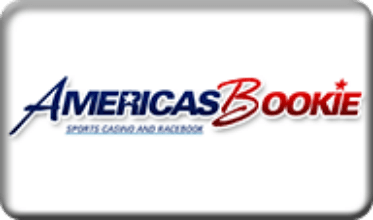 Enjoying the AFC Championship game now has some additional benefits at AmericasBookie. When you fund your account we will automatically assign you a square and you will be in contention for several free play prizes. Depending on your deposit you could enter the small pool of the large prize pool. We will announce when the pools are officially open. Get Ready for Super Bowl Squares!!! The Super Bowl is one of the biggest sporting events of the year and to celebrate such an important event, America’s Bookie rewards all it’s active players by opening several square pools that will award thousands of dollars in prizes. In order to take advantage of the contests all you have to do is fund your account and we will take care of the rest. Every pool will have several prizes so your change to take some extra cash is looking pretty good. Pools will be closed half an hour before the game stars to assigned numbers and have enough time to enter all the accounts in the squares. FREE CASH ALL THE TIME! Get Paid Even when you lose! When you make an initial deposit of $500 or more you qualify instantly for 10% CASH BACK on all your net losses. What an incredible deal! It doesn’t get any better than this!!! Next: BetPhoenix Super Bowl LII Contest!! Win a Cruise, iPhone X and more!! !